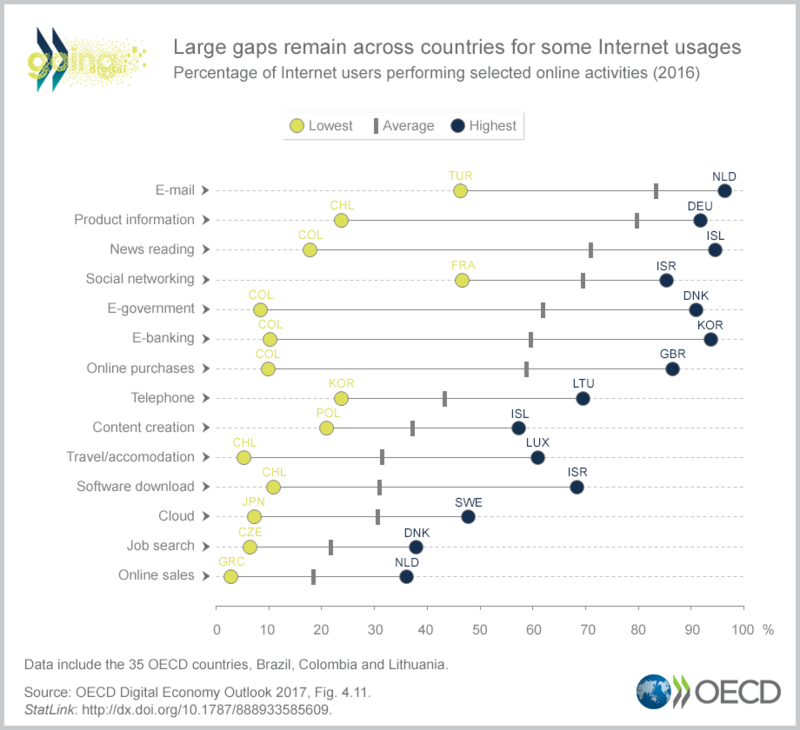 Daily Dose of Data 6: Large gaps remain in Internet usage | The Forum Network, hosted by the OECD: Shape ideas. Shape policy. Shape the Future. Over 2015-16, on average 83% of Internet users reported sending e-mails, 80% used the Internet to obtain information on goods and products, 70% read online news, 69% used social networks, and 31% used cloud technologies. While 58% of Internet users ordered products on line, only 18% sold products over the Internet. Activities such as sending e-mails, searching for product information and social networking show little variation across all countries. However, the shares of Internet users performing activities usually associated with a higher level of education (e.g. those with cultural elements or more sophisticated service infrastructure), tend to show larger cross-country variability. 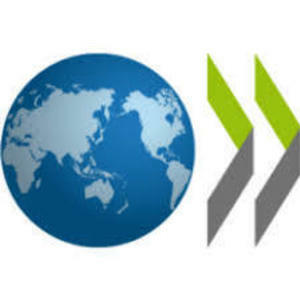 This is the case, for example, for e-banking, online purchases, news reading, cloud technologies and e-government.